It's Christmas time again my dear friends! It's crazy how fast the years keep going. I feel like I just sent out last year's card. Everyone loved last year's photo and have to admit, I felt the pressure for this year. On a whim, I asked Markus to bring the tripod just in case we came across an amazing setting. We took a two week road trip through various French cities and only ended up using the tripod once when we stayed at Château de Boucéel. 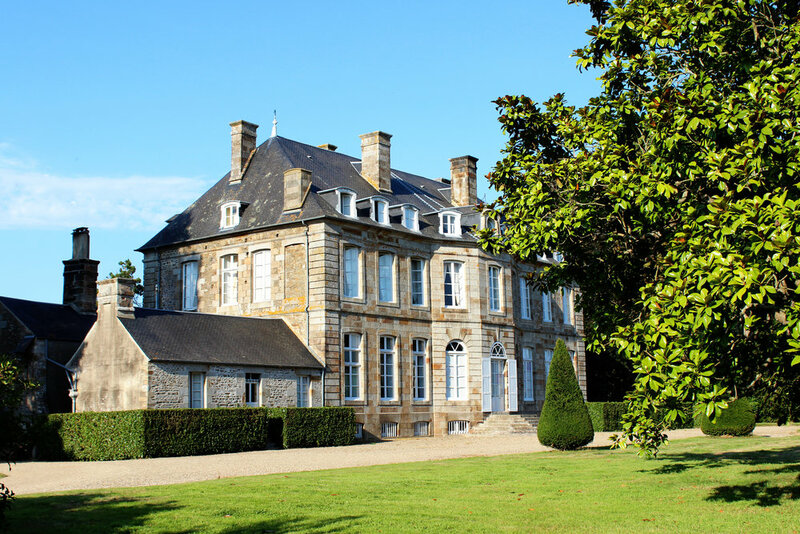 Of all the fantastic places we stayed, this château was my favorite. It's been in the same family for centuries and is still run by the count and his family. I'll be writing a more in depth post about our experience, but I wanted to share this year's Christmas card photo. Joyeux Noël dear readers and have a happy new year!